Happy Monday! Tanya here from Crafting on Caffeine and today is my day. I just LOVE how versatile the Candy Caddy is! I do believe it is fast becoming my Fav! As soon as I got the Hello Hello Stamps I just knew I needed to do this Treat! 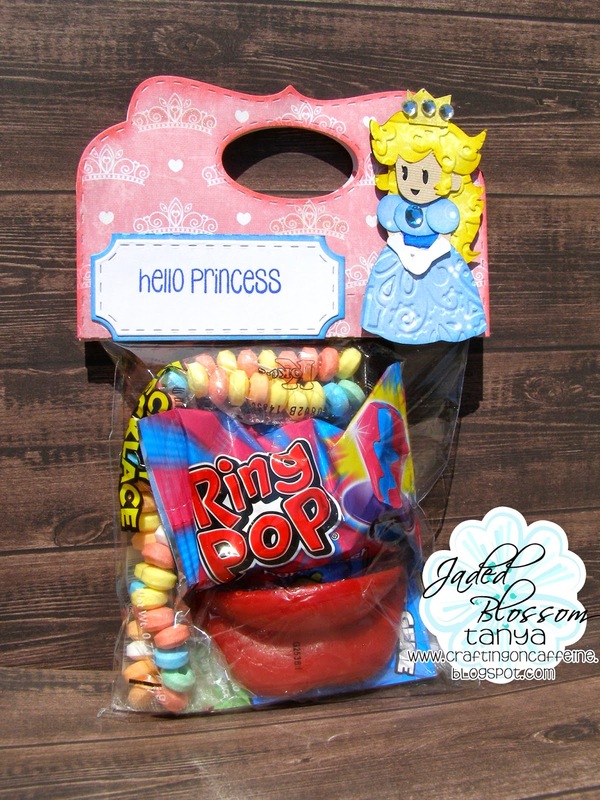 And what little princess doesn't need a candy necklace, ring pop, and big red lips! 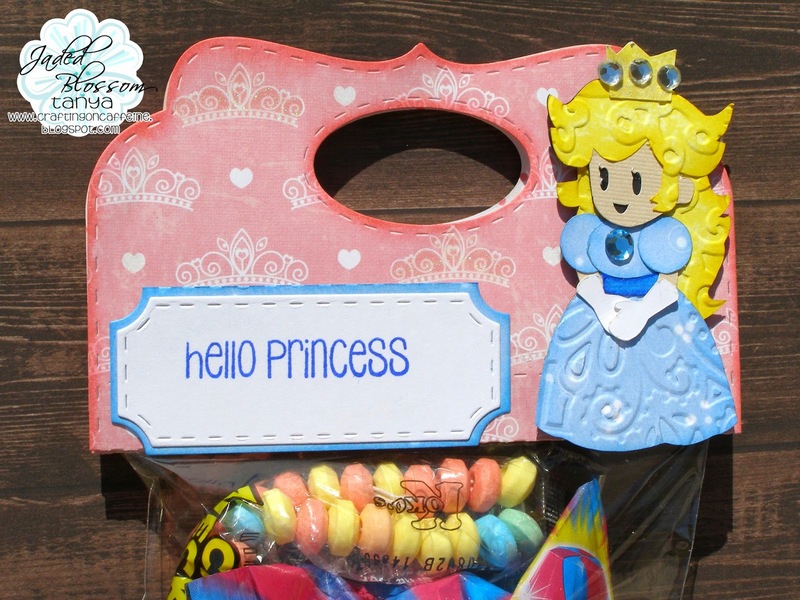 I also embossed Princess Peach's hair and bottom part of her dress.